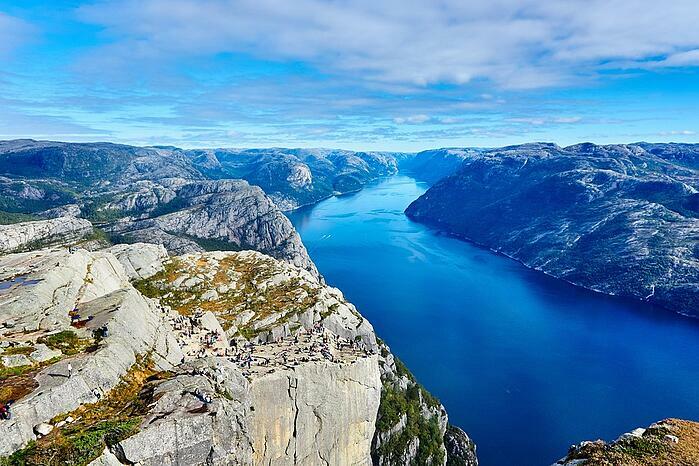 Amazon is coming to Scandinavia – and it's going to change everything. There's still no official launch date, but expect the world's seventh-largest retailer to have a massive impact on Nordic e-commerce in the near future. The Scandinavian retail market is extremely lucrative, so start making plans now if you're going to use this platform to sell products in the Nordic region. Amazon launched back in 1994 and has since become one of the world's largest online retailers. Books, CDs, cars, toys – you can find all of these and much more in the Amazon Marketplace. You might not think that Amazon's launch in Scandinavia is a big deal. It's just another website, right? Sweden, for example, has online retailers like Ikea.com, Netonnet.se, and Elgiganten.se, which already generate millions of visitors. Why should you care? Well, Amazon is an entirely different beast. It sells more products than many Nordic retailers combined – 606 million products worldwide, to be exact. Plus, it dominates e-commerce in the United States and European countries like the United Kingdom, Ireland, and Germany. Amazon generates a huge amount of revenue: The platform made a massive $178 billion in total sales in 2017 alone. To put that into perspective, Finland's total GDP is $237 billion! Amazon shows no signs of slowing down, either. Its biggest-ever sales day was Cyber Monday in 2017, and the platform will likely break that record in 2018. Can Amazon replicate its success in Scandinavia? There's no reason why it can't. Services like Amazon Prime have pioneered lightning-fast online retail delivery – the platform offers same-day shipping in some countries, which is not common in the Nordic region. Plus, the company is already an established brand here. People in Scandinavia already place orders on Amazon.com (though they have to pay expensive shipping fees). 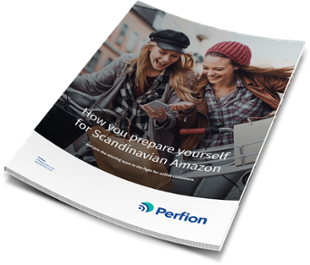 A Scandinavian Amazon will enable customers to order products from local warehouses and have their items shipped in a speedy timeframe. There are also plenty of opportunities for retailers. Want to make money from Amazon's Scandinavian launch? With no exact launch date just yet, there's plenty of time to prepare your products and plan your online store. The most successful retailers on the platform all have one thing in common: They excel when it comes to customer service and logistical infrastructure. You need to do the same. "Thank the customer for contacting you, tell them you’re happy to help and ask if they need anything else," says RepricerExpress, whose mission is to help companies get as much profit as possible on Amazon. "Make them feel like helping them was the best part of your day – even if you would have preferred a root canal." Aside from focusing on what products to sell, improve the quality of your product information before you sell on Amazon. This will prevent your products from being declined on the platform. There may be holes in your product feed (missing descriptions, EAN numbers, color information, pictures, etc.) so that products will be declined from Amazon. So, keep an eye out for Amazon's launch in Scandinavia – the platform is making its way to the Nordic region soon. In the meantime, get your product information ready, plan your store and discover a product niche. This way, you can be one of the retailers in Scandinavia making cash on the website.